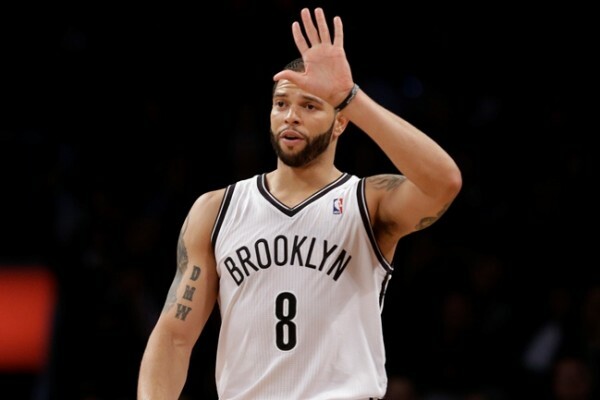 The Brooklyn Nets have completed the waiving of Deron Williams which means the Dallas Mavericks will be signing the point guard very soon. Suddenly, things don’t look too bad for the still hurt and insulted franchise. The Mavericks moved quickly from the DeAndre Jordan fiasco, although Mark Cuban can’t stop talking about it in the press and we’ll probably be hearing a little bit more from him on the subject in this summer and during the regular season, especially before games between the two teams. They managed to acquire Zaza Pachulia, which might not be a very dominant, 30-35 minute center, but he’s a useful big man to have, and is better than nothing. They are also about to sign Deron Williams off free agency. While this is no longer a player who was one of the best point guards in the NBA until not too long ago, and in my opinion the best in the league for a short while, he obviously upgrades the situation for the Mavericks. This is a team that’s going to struggle making the playoffs in a loaded West, but they should be fun to see, and right now, before any more upgrades are made through some marginal signings, their starting five is going to be fun to watch. Wesley Matthews, unless his injury is going to ruin his career from now on, is a very good pickup, and if Chandler Parsons stays healthy, he’ll have a much better sophomore season in Dallas. Have you noticed how many if’s are in this story? That’s not surprising. Pachulia isn’t the healthiest of players although he did play in 73 games last season. Williams has missed a combined 32 games over the last two seasons and needs more and more rest for his aching ankles and knees. Dirk Nowitzki just turned 37. Parsons missed 16 games last season, and Matthews is coming off a torn achilles tendon. The Mavericks weren’t left with much of a choice, but they are in a downgraded situation compared to what they were expecting to get (Williams is inferior to Jeremy Lin, Pachulia isn’t as good as Jordan), and counting on a lot of vulnerable players to stay healthy all season long. This isn’t a team built to win a lot in the future, and won’t be able to win too much now. They’re not going to be tanking or embarrassing, but their ceiling is rather low.